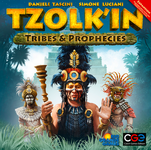 In my excitement for Tzolk'in: The Mayan Calendar - Tribes & Prophecies expansion, which adds a 5th player, amongst other things, I decided to come up with a Geeklist that has all the expansions I own that adds an extra player. The expansion I am excited about. After reading a session report, sounds like competition for spaces is going to be tight. Add in prophecies that get you points for certain things (as well as make them harder to obtain) and you end up with a lot of workers fighting over a small amount of stuff. Also, the special powers we get to start with sound cool too. One of the classic examples of adding in an extra player. This comes with a set of gray meeples for a sixth player. 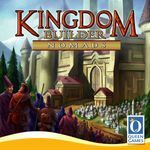 Also adds in the elegant rules of the inns on the road, and cathedrals in the cities, which will either get you an extra point per tile when completed, or absolutely nothing if unfinished by game end. To encourage fighting over these new features, it also includes a large meeple worth two regulars. In my opinion, an example of a bad idea to add an extra player. This includes the purple pieces to add a 5th player. However, for a game that uses square tiles and spaces, adding a fifth player into the map becomes awkward. I think the map layout they chose is extremely odd, and unfair for one player. I came up with a layout that was more star shaped, so everyone was spread out evenly, but it used a lot more tiles than the default map. In either case, the five player game is too long anyway, I much prefer to stick with four players for this one. The rest of the additions from this expansion were great. This expansion didn't add just one extra player, but 2, for a total of up to 12. It kind of redid the whole role option, having more than just good or bad guys. Now, the gold diggers have a team color, as well as other characters that count as being on multiple teams (but earn less gold if they win). There is even a role that doesn't care whether gold is found or not, they just want to find crystals on the tiles. This second expansion really shakes things up, and without a pre-determined number of each role in a round, you never know what the goals are of the other players. The Dark City expansion added a whole alternate set of roles, as well as a ninth role, which meant the player count could be increased from 7 to 8 players. I know there are quite a few players that hate to play with more than 4 due to downtime, but when it comes to this one, I think the more the merrier. I have fun every time I play this with 8. 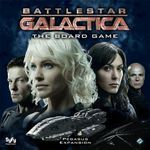 This one, as well as Daybreak (which I haven't tried yet) includes a new character type, the Cylon Leader, who has their own secret goals for winning. They may want to insure the humans win, but deplete a resource to almost nothing, or they may want the cylons to win, but might have to protect the humans somehow. It's a cool addition, which not only adds more intrigue, but also can be added as a 7th player. 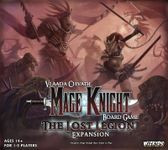 Most of the base games are 2-5 players (at least the US and Europe versions are, of which this expansion is completely compatible with), and one of the maps included take this game up to 6 players. But it's not 6 players on their own, this map puts players on teams of 2, so everyone is working with a partner to complete routes and tickets. I think the Team Asia map is the biggest gameplay change amongst all the maps available, and really changes the way you have to think in this one. My last addition to this list is this expansion, which offers a variant to add more than 6 players to a game, since there are now so many survivors available. But you basically have to add extra spawn points on the map depending on the number of extra survivors, as well as extra starting weapons. But I wouldn't recommend adding more, that's just extra downtime, and the game is hard enough as it is without adding extra zombies to the board. Village Inn adds a fifth player (grey), along with the new inn and brewery spaces. The villager cards add some interesting options to the game in terms for one time bonuses and additional ways to score at the end of the game. Really neat expansion. Survive was already a little cutthroat with 4 people. Adding 2 more players to the mix with the overcrowding rules makes the game even more vicious and people often look for how they can screw over more people with a single move. It slows the game down a little but makes it pretty intense and a lot of fun with the right group. This one adds not only cards for a fifth, but a robot for solo play... which I used to learn how to play this one. While I really don't value the expansion for increasing the number of players from 4 to 6 (I only play it as a 2-player game), it does introduce some really neat character options. 4 players in this game is already pretty crazy. Increasing it to 5 just turns into a hilarious, chaotic mess as everyone scrambles for the best pieces and does whatever they can to screw over the next guy. The new ship components and devious Rough Roads cards are also a very nice addition. The big draw for this one is all of the new stuff it includes like human resistance cards, mechanics, and races. It also includes the pieces to take the game from 4 to 6 players but I don't think it works too well as there's far too much competition for the few points on the board and everyone has too few pieces to really do anything with as each player only has 4 ships to try and conquer new areas while defending theirs from everyone else. 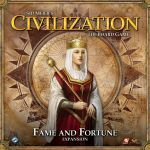 This expansion adds pieces for a 5th player as well as Factions, Agendas, and a few Alien Tech cards. The funny thing is, I think 5 players is too many for a game where you can't do anything but wait when it's not your turn. But I really like the Agendas and would want to always include them with any number of players. This expansion not only adds 20 new aliens and introduces the awesome reward deck, but also comes with the orange colored ships to add a 6th player. 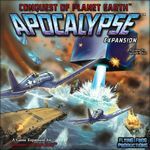 As if that wasn't enough, they then came out with this expansion, brought 20 MORE aliens into the mix, introduced the hazards, and added black ships to add a seventh player! ...for good reason, too, as playing the game with more than five can tend to go insanely long. It's awesome having the new colors to choose from, though, and the aliens are really why I want MOAR! This expansion is for Age of Empires III: The Age of Discovery which was renamed to Glenn Drover's Empires: The Age of Discovery. 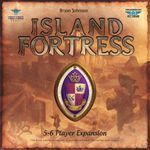 Among other things, it adds a complete set of purple colonists to expand the game to six players. 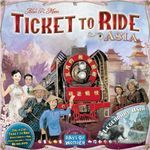 Since six players is such a hard number to find games for, I appreciate any game that expands to play six, but especially a non-filler game like this one. 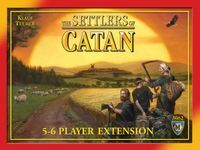 This expansion increases the maximum player count from 4 to 6. Cities allows up to eight players. I don't really like playing 7 Wonders with more than five and eight sounds like way to many. Cities also has rules for teams. I haven't played that way yet but it could be interesting. Not that I'd ever attempt to play with 5 players though. This is a great light game with tons lots of strategy and I'll admit, a little luck! This expansion adds a 5th player to the board, making things a bit crowded.